Up to 85% of the soil brought into any building can be contained within the first 10 to 12 feet of the entrance. 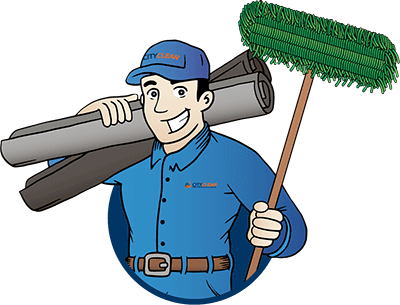 Improve your housekeeping with custom mat rentals from City Clean. Our floor mats work beautifully for your entrances, passageways ways and high traffic areas. City Clean will maintain a constant supply of quality mats with exciting colors, messages and designs to serve you. 1. No large upfront investment to initiate a mat rental service program – flat fee for scheduled service, with exchange of freshly laundered mats. 1. Large upfront investment in purchasing entrance mats. 2. More convenient. 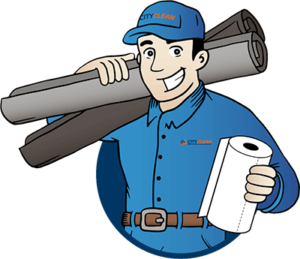 A mat rental service provides regular maintenance of mats, and eliminates your involvement in maintaining entrance mats. 2. When owning your own mats, you must clean the mats regularly yourself. 3. Better cleaning. Professional industrial laundering process assures that mats will be their cleanest every time they’re delivered to your door. 3. Owning your own mats and cleaning them yourself will not assure that mats will be their cleanest – improper equipment, detergents, etc. 4. Lower maintenance cost. Rental mats act as a silent janitor and are designed to trap and hold dirt and grime that comes through doorways. 4. 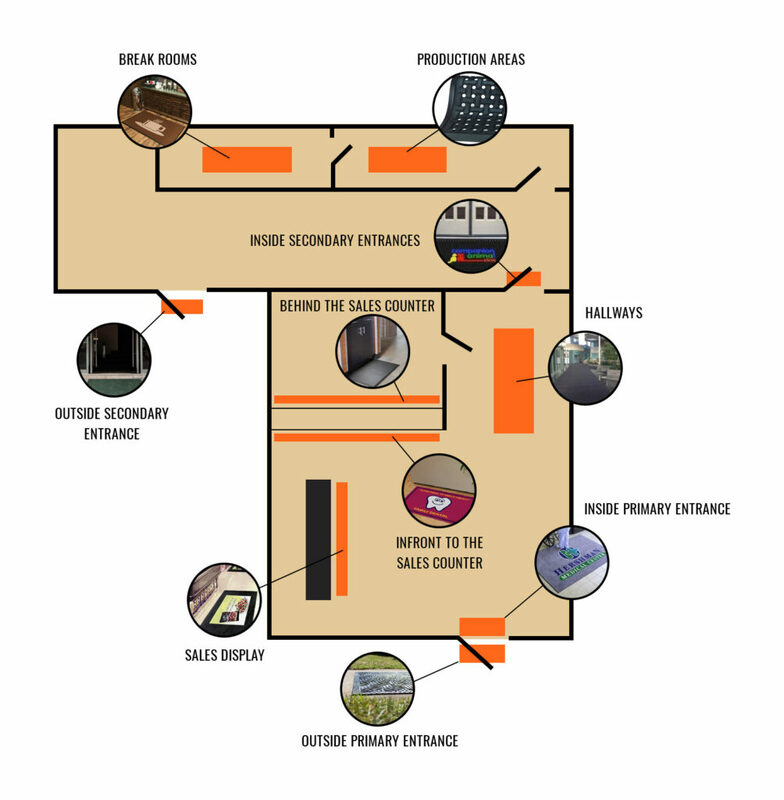 Purchased mats are not designed to trap dirt – it lays on top of the mat and is tracked through your building. 5. No replacement costs. Since you pay only for the service we make sure you receive high quality mats with every delivery. 5. 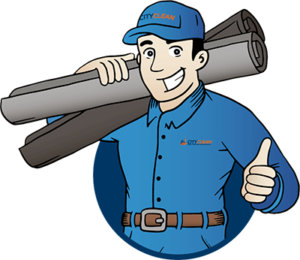 Purchased mats must be replaced when worn out, which will require an additional large investment. 6. Less labor. Rental mats trap and hold more dirt, eliminating additional janitorial time spent sweeping and/or cleaning entrances. 6. More time spent cleaning up dirt and grime “lying on top” and around purchased-type mats. 7. Better appearance. Rental mats are more plush and in colors to match your décor. Along with a variety of the most functional sizes. Rental mats will always look as new as the day you first got them. 7. Purchased-type mats are manufactured cheaply and will cause pile to fall out/come apart, which will quickly become unsightly. Purchased mats will never look as good as the first day you bought them. 8. Better safety. Flexible rubber backing on rental mats assures mat conforms to the floor, helping avoid accidents. 8. Many purchased-type mats have vinyl or plastic backings that will cause mats to wrinkle, which can cause accidents. 9. Inventory flexibility. A rental service program affords you the opportunity to increase and/or decrease mat usage as needed. 9. Once an investment is made in purchased mats, you don’t have the flexibility to change sizes, colors, etc., without excessive costs. 10. Regular contact. Our Service Representatives are always available to address any needs and/or concerns you may have. We’re there to help! 10. When buying mats, you only see who sold you the mats at the time you bought them and never again.